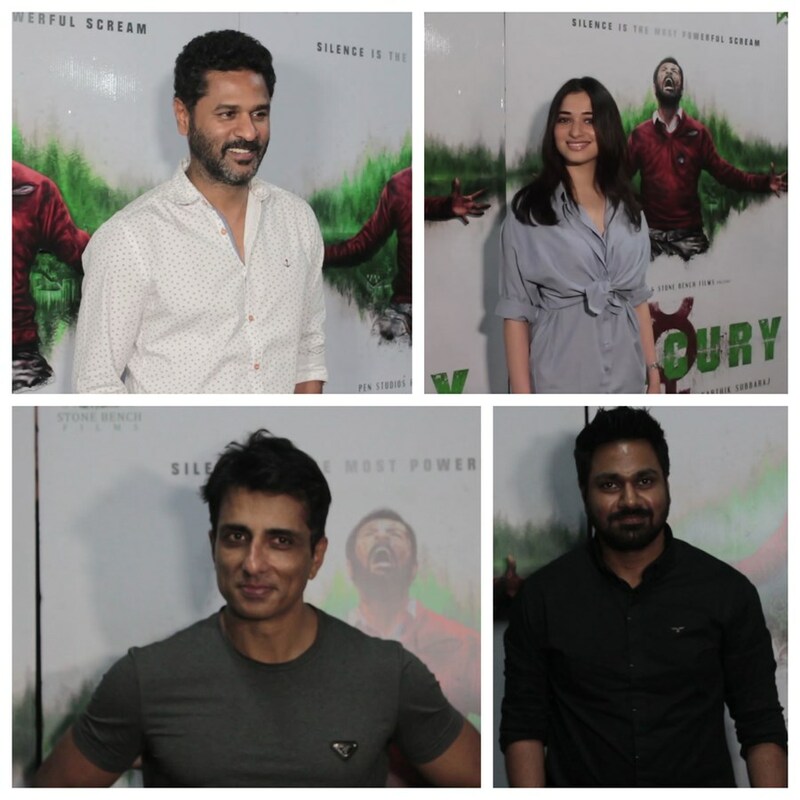 Makers of #Mercury hosted special screening of the film on Thursday in Mumbai. Bollywood celebrities like #PrabhuDeva, #Tamannaah, #Mithoon, #JayantilalGada, Anant Mahadevan and #SonuSood attended special screening of the film. Here’s what celebrities had to say about the film. Prabhu Deva - It’s a new genre and I am playing negative character in it. I am excited for it because first time I am playing a different role so I am looking forward to reactions from audience. I hope people loves this film and it should do good business at the box-office. Tamannaah - I have worked with Prabhu (Prabhu Deva) sir and I think I am lucky to train under him when he is choreographer, actor or director. He is such a multi-talented person. This film’s concept is really new because it’s a silent film and it’s in thriller space. I just saw‘Quiet Place’ and this hasn’t attempted by anyone in India so I am quite excited for it. I guess, all the characters in this film are not able to hear and speak which would be very interesting to watch. I think such films don’t need a language and I feel that’s the plus point of this film. Actors like me and Prabhu sir has such a North Indian connect but there are certain films which come our way where language is not a barrier because subject itself is a strong point so I am looking forward to see how Prabhu sir has done it. Sonu Sood – I am pretty excited about the film. He has worked with me as a director, co-actor and choreographer so I really want to wish him all the best. I hope the film do well as people always Prabhu sir’s work. ‘Mercury’ revolves around group of six youngsters who get stuck in a ghost town whose population died due to mercury poisoning. Mercury is a silent horror thriller film written and directed by Karthik Subbaraj. It stars an ensemble cast including Prabhu Deva, Sananth Reddy, Deepak Paramesh, Shashank Purushotham, Anish Padmanabhan, Indhuja and Gajaraj. It is releasing on 13th April, 2018.